At Mike Anderson Chevrolet of Merrillville, you can find the best deals and specials on new & used inventory. Whether you are seeking a 2018 Chevy Equinox or a more affordable pre-owned model, our top-rated Chevy dealership is here to serve our Gary, IN neighbors. To receive help in-person or to see our new & used inventory, visit us today at 1550 East 61st Ave in Merrillville, IN or call 219-947-4151 for more help. The Mike Anderson Chevrolet finance center offers competitive and flexible financing options. Whether you have good, bad, or no credit, our friendly staff is committed to making car-buying easy and affordable for all of our customers. You can keep the process simple by using our online payment calculator to help narrow down your monthly and down payment budget. You can also submit your online finance application from the comfort of your own home. Not sure whether you should be leasing or purchasing? Our financial team will assist you in building the best financial package for you. If you decide leasing is the better option, our specialists in the Leasing Center will personalize your term agreement using exclusive Chevrolet dealers specials. Our wide range of new & used inventory allows Mike Anderson Chevrolet to offer Gary, IN residents the best deals around. We specialize in under 10k vehicles of all makes, models, and trims all the way to top-of-the-line 2018 models. J.D. Power, Kelly Blue Book, Car & Driver and other experts have consistently awarded the vehicles available at your local Chevy dealership. From our award-winning Chevy Bolt EV in the eco-friendly category to the IIHS Top Safety Pick Chevy Equinox SUV and the iconic Chevy Camaro, we rack up the gold medals like none other. If you’re not sure where to begin, let our friendly, helpful sales staff point you in the right direction. We are experts at pairing our customers needs and lifestyle with the perfect vehicle. Whether you need a family-friendly SUV like the esteemed Chevy Traverse, a tough and dependable pickup truck like the Silverado or an eco-friendly commuter like the Spark—we have it all! 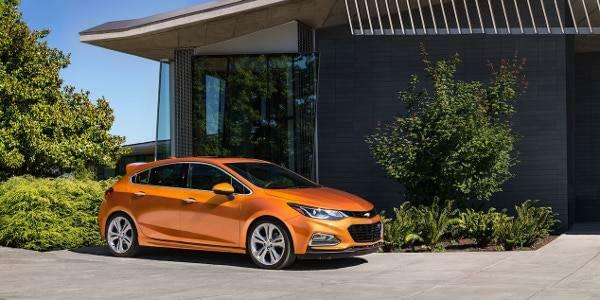 When a new model year car is financially out of reach or just not practical for your purposes, we can offer Chevy dealership-exclusive specials on pre-owned vehicles from all makes and models. Our used inventory undergoes a robust 172-point inspection to ensure you have a safe, reliable vehicle for years to come. To keep your new vehicle in prime condition, we offer our efficient, trustworthy auto service center. Maintaining your new car is key to getting the most for your money and helps keep long-term costs low. When you’re in need of more serious repairs, our factory-trained and certified technicians can expertly restore your vehicle to peak performance.